Sometimes in life, you just have to trust your gut. 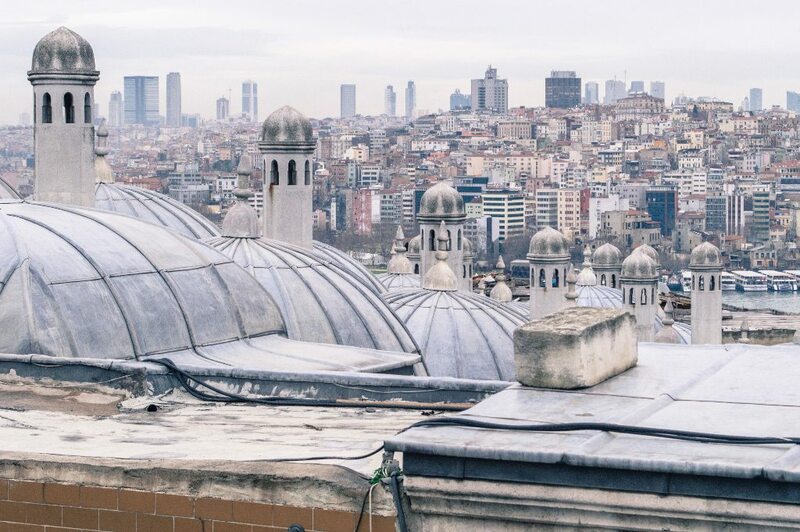 Truth be told: when I found myself with a plane ticket to Istanbul only 48 hours after a terrorist attack, I didn’t know what to do with myself. Frantic pacing was involved of course, alongside incessant Googling and nervous wine guzzling… but as I’m sure you can appreciate, “TERROR ALERTS ISSUED FOR ISTANBUL” weren’t the most comforting of headlines to read. It didn’t take long for my travel buddy to cancel her trip, prioritizing safety over the lost cash from our bookings. Simultaneously, the panicked phone calls from home began to pour in, with my parents urging me to play it safe and (essentially) lock myself at home in panic position. My ever-so-lovely parents even offered to fly me home from the chaos, despite the fact that I was in Munich, miles and miles away from where the bombing even occurred. But… you know how logic can often escape worried mothers. So I did what I thought was right: I assured them of my safety, cancelled my hostel booking and went to sleep in a huff, feeling robbed of my dream trip to the beautiful city of Istanbul, which had glittered for ages at the top of my bucket list. I’m not quite sure when or why I woke up and said “screw it”… but I did. Maybe I dreamt a particularly adventurous dream… but something in my gut told me I would regret not taking this trip of a lifetime. So, with a few white lies told and a quick panic packing session, I found myself all alone on a plane bound for Turkey’s capital. I can’t lie to you and say it was all Turkish delight and free apple tea… although my waistline can attest that there was much of both. Instead, I’ll say this: it was one of the most amazing, but challenging travel experiences of my life. 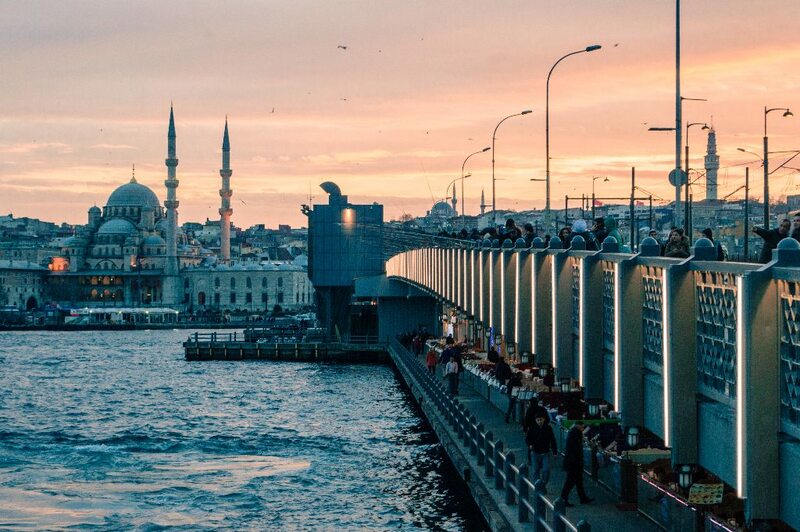 Istanbul is a stunning city oozing with depth and culture. I ate some of the best food of my life here, and saw some of the most beautiful sights and architecture. I originally wrote this post in 2016, leaving the story at that – the good stuff, but I feel I’d be doing you a disservice to not tell the whole truth. I adored Istanbul and I adored being out of my comfort zone, with zero clue how to do anything properly (even buying a ticket for the metro)… but as much as I’d like to romanticize this experience as a whirlwind adventure, it was also the same trip that I got hopelessly lost, partially stalked, a few times followed and as a result, became more of a badass solo traveller. Me a badass? Probably not. The culture shock began as soon as I arrived at the airport. Without even a clue of how to buy a metro ticket (or token, I guess), I realized just how out of my element I was. I’m used to travelling on my own, but mostly through Western Europe where most systems are the same, and cater to dummy tourists like me. After a great deal of confusion, I took the long ride from the airport and got off at my stop, realizing all too quickly that I never saved walking directions to my hostel. It was at this point that I got hopelessly lost navigating the steep streets of Istanbul’s Galata neighborhood, following a zig zaggy blue dot on my iPhone. It took over an hour of searching (and a terrifying roaming bill), but I finally found my home for the next few days. I then emerged from the darkness (which is a cool sentence I never thought I’d say) and set my sights on one of Istanbul’s biggest attractions: the Sultan Ahmed Mosque (AKA the Blue Mosque). With its close proximity to the bombing site just a few days prior, I wasn’t sure what to expect. Sure enough, there were security guards all over the place, patting people down, plus a sea of police officers and civilians making their way to the mosque. I had arrived at prayer time (during which it’s closed to visitors), so I explored the area, made friends with stray cats and people-watched from a gorgeous courtyard nearby. When I was finally able to go inside, I got dressed in the robe, skirt and headscarf that they provided and stepped inside. The detailed tile work was absolutely mindblowing, and was of course a recurring theme in all my Turkish sightseeing. After grabbing myself a quick lunch (did I mention how cheap and wonderful the food is?! They even gave me free tea as I waited! ), I set my sights on my next big attraction of the day: the Hagia Sophia. 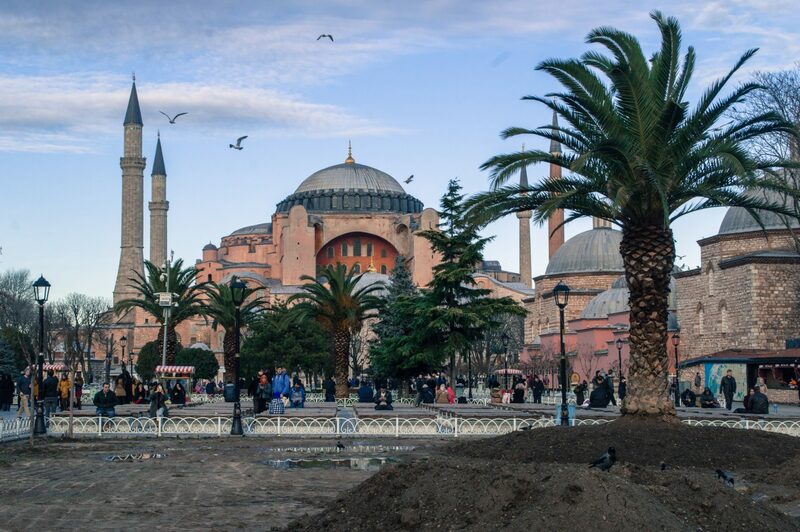 Once the world’s largest church (before it became a mosque), the Hagia Sophia today is a badass museum that will truly make you stop and stare. I’ve seen a lot of churches throughout my time in Europe, but this one genuinely blew me away. The sheer scale and beauty of the place is borderline unbelievable, with ornate mosaics and towering pillars everywhere you look. Coincidentally, it was while lining up here that I ran into one of my hostel roommates who I had met earlier that day, along with two guys he had met while sightseeing. It’s always interesting how quickly plans can snowball when you’re a solo traveller. Case in point: within a matter of seconds, I went from roaming solo to conquering Istanbul with 3 friends (two of which were apparently entertainment moguls who knew Jet Li. … or so they claimed). 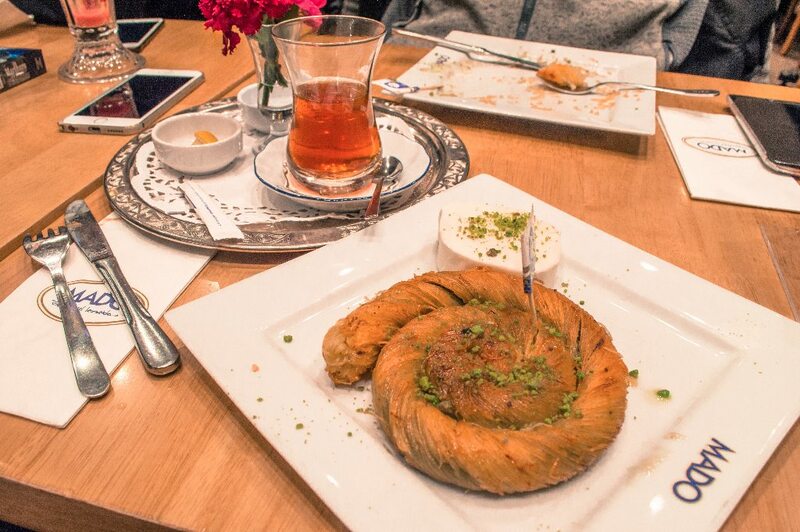 We spent the evening together, sampling Istanbul’s best sweets while sipping gallons of apple tea. My new friends even treated me to a dessert of my choice, and after an agonizing few minutes staring holes into the menu, I chose a delicious Burma Kunefe (a swirly pastry wrapped with layers of pistachio). It was oh so perfect. After completing the night with a smoky local shisha bar (where I most definitely did not blend in), I spent my next day doing something I’m a bit better at: shopping. As a female travelling on her own, and one that’s visibly not Turkish, I wasn’t surprised at all that I’d be subject to much hollering and swarming at the local markets. I wasn’t bothered by it – more amused by the eyebrow swaggles and “HEY LADYs” that became the soundtrack of my day. After getting attacked by pigeons at the New Mosque, my first stop was the Egyptian Spice Bazaar, where I was greeted by picture-perfect spice mounds, sparkly tea sets and stand after stand of unknown treats. 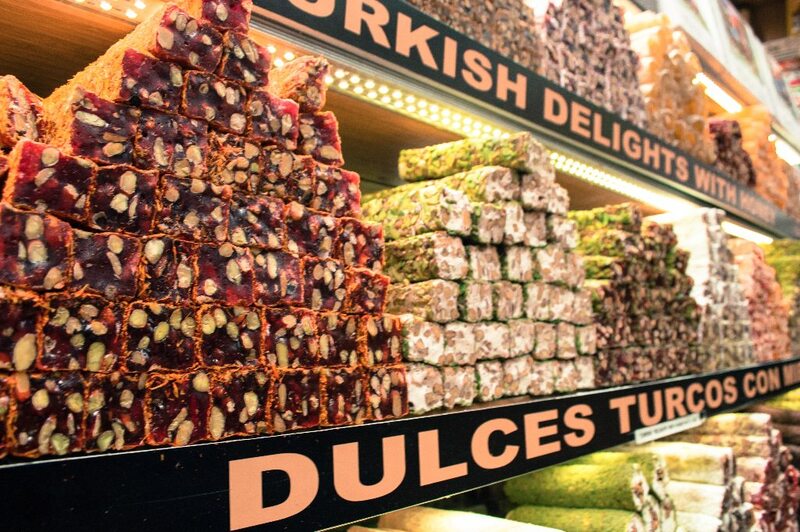 Here, I learned about the Turks’ very liberal sample policy (which meant I ate my weight in Turkish delights) and moreover learned flavours like cheesecake DO exist! Of course, despite my earnest attempts at haggling, I still walked away with a much lighter wallet, and a camera bag crammed with spices, teas and treats. 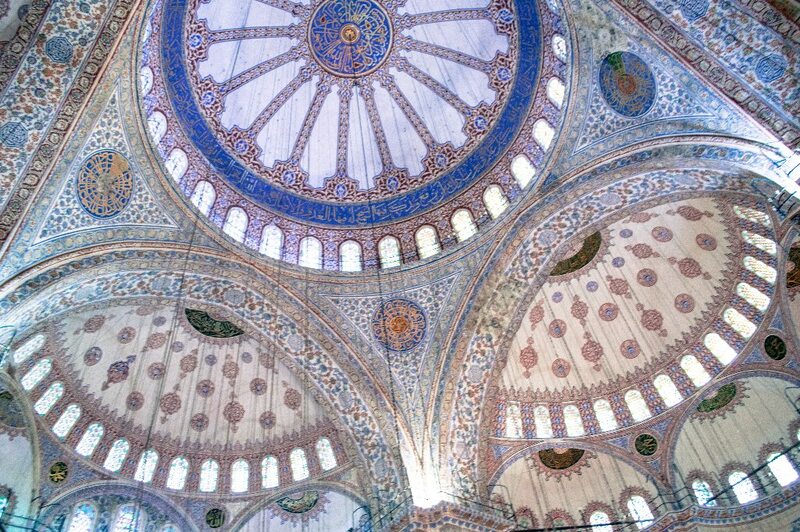 Mourning my monetary losses, I made my way to the Süleymaniye Mosque, the 3rd largest mosque in the city. It was probably the quietest and most peaceful spot I visited in Istanbul. Right next to the mosque was a gorgeous Ottoman cemetery and a big courtyard boasting the best ever view of the Bosphorous. While admiring this viewpoint, I caught a photographer using me as a prop for his photos, his ninja snaps not being as subtle as he thought. Recognizing that I do have a pretty good “staring out wistfully” pose, I pretended to not notice and instead tossed the guy a few gramworthy poses. You’re welcome bro, I know the struggle. From oddly peaceful to hopelessly touristic, I made my way from the Süleymaniye to Topkapı Palace, where swarms of tour groups had arrived to snoop around, just like me. Once a main home for the Ottoman sultans, today the palace is a museum and tourist magnet. It’s not hard to see why. All I can say is: dang those Ottomans knew how to live. Sprawling over four courtyards, this place was like getting smacked in the face with opulence. Especially in the Harem (my favourite part of the visit), I was surrounded by an endless display of elegant tiles, intricate patterns and vibrant colours. Needless to say, I wouldn’t mind moving in. Of course, a little retail therapy was needed after all that hard sightseeing work. 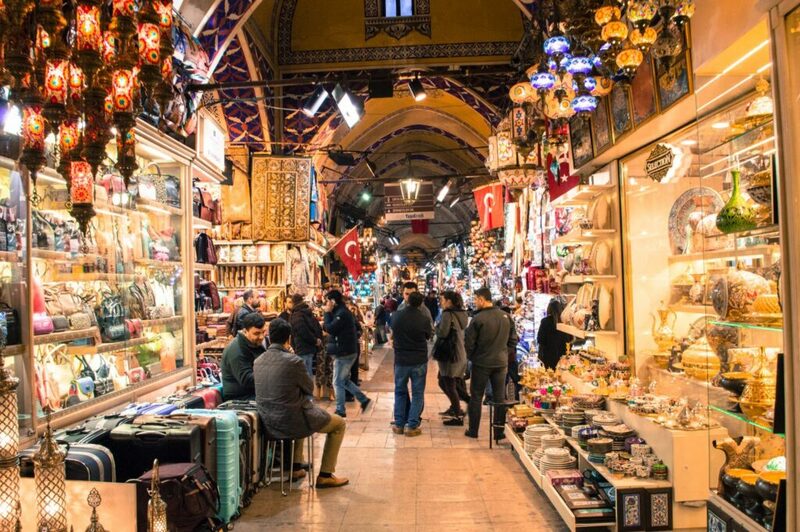 Off to the Grand Bazaar I went, where I came face to face with a Turkish movie starlet. … except well, not quite. Passing by my 10000th rug shop of the trip was when I met a dapper mustached salesman who with a prideful tilt of the chain, waved me over. I had gotten pretty good at dodging salespeople at that point, but something about him seemed intriguing. He gestured at my giant Nikon and beckoned “Take my photo… I’m a famous Turkish movie star!” This guy couldn’t be for real. I laughed, ever the skeptic, but indulged him in a mini photo shoot. 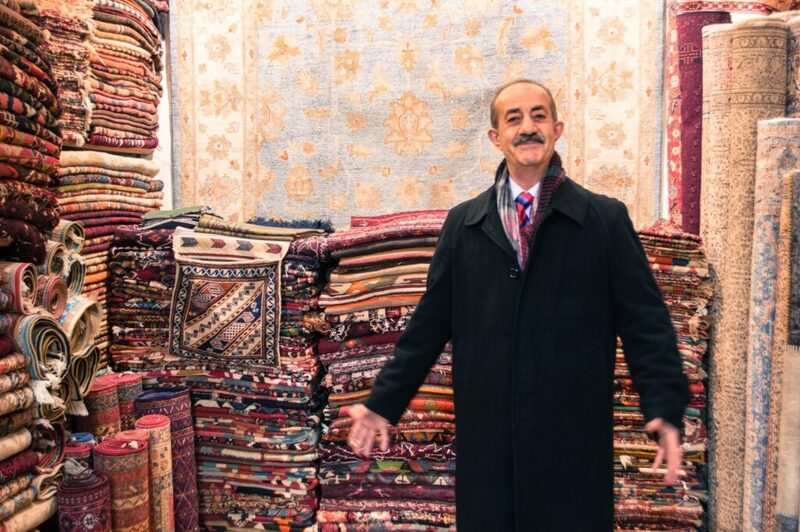 After showing me a few of his rugs, he sheepishly confessed to me that he wasn’t in fact a movie star, but was happy to have some company for once. Well shucks. I of course forgave him quickly. Over a few cups of tea, he told me about how he just came back from studying in Australia, and how he hated the way Turkey was portrayed in the media. I opened up to him about some of my safety concerns… like how I avoided being out on my own at night “just in case”. He laughed and asked what I was afraid of. “If you’re afraid of being robbed, I can promise all these guys are richer than you are”, he said as he gestured to the shops around us. Despite how lighthearted our conversation was, it did make me think. 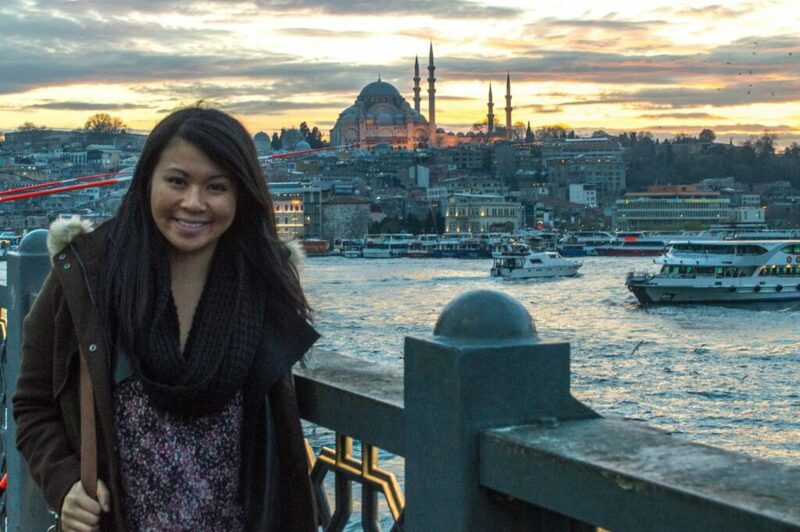 While I loved Istanbul, there were definitely moments where I felt uneasy being on my own. There were some men who approached me on the street, walking with me and asking me questions for several blocks. There was the shopkeeper who shook my hand as an introduction and then didn’t let go for an unsettling amount of time… There was even, in my own hostel, a guy who waited for me to wake up so we could hang out (another story for another time), but all these experiences did (as much as I hate to admit) make me wish I wasn’t travelling on my own. My new shopkeeper friend dismissed my worries as paranoia. I’m still not so sure it was. When he decided to close up shop early and invite me to another place for tea, that’s when those same worries began to settle in. “We’ll go for shisha at a local place too, I’ll show you!” The sky was getting dark, I was pretty far from home and this guy, while very lovely, wasn’t someone I actually knew. So I declined the invitation. The offense he took was clear. A quick, snappy goodbye later, he stormed away in the opposite direction. Maybe I should have been a bit more openminded… but if there’s anything I’ve learned from my travels, it’s to trust your gut. I love venturing abroad with friends, but one of the perks to solo travel is that you develop assertiveness, thick skin and an ability to fend for yourself. Our interaction may not have ended so well, but I’m still thankful for the eye-opening conversation, whether or not I was being paranoid. On my final day, I had just a few short hours left to explore the city before heading to the airport. The rest of the day was dictated naturally by food. I had a few remaining liras in my wallet, and the most accurate description I can use is I went full Pacman through the streets of Istanbul. It was, without exaggeration, a marathon of Turkish street eats, with me buying essentially every item that caught my eye. After leaving the tower, I made my way to Karaköy Güllüoğlu Üretim Tesisi, renowned by many as the maker of Istanbul’s best baklava. 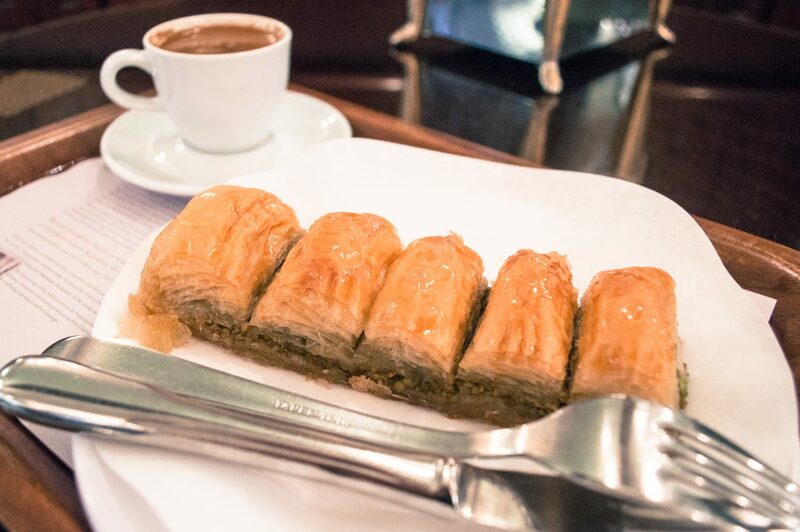 5 flaky, gooey baklavas later, I can confirm that it was a most heavenly experience, one that made me melt into a puddle of caloric joy. This proceeded with many cups of fresh fruit juice and creamy ayran (a Turkish yogurt drink), plus a doughy simit (a circular bread encrusted with seeds) and lamb köfte (spiced meatballs). Not a bad consumption record for like… 3 hours. No regrets, because every bite was absolute bliss. It was with that eatathon that I ended my time in Istanbul. I hopped back on the metro (my pants feeling much snugger than before), and promptly made my way back to the airport. 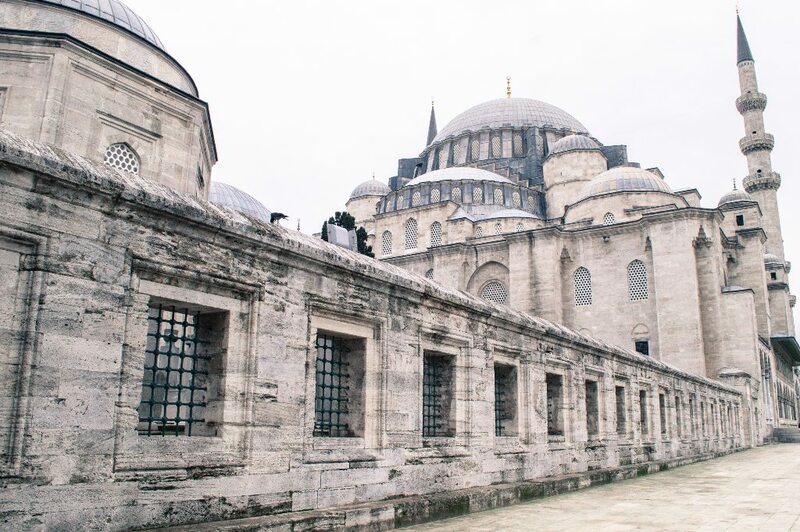 Thanks for an unforgettable visit, Istanbul… I hope to be back someday soon. I’ll be back soon, Istanbul! Wow! That place looks stunning! They have a lot of great structures. I’d also want to try their food. We think your website is much great to me! We have hope that u keep up this pretty work. Glad you went, it’s an incredible place with friendly people. It’s shame about recent events but it’s great to see you having an amazing time in the colourful city, and great to see you go and not give into terrorists. thanks for sharing, Steve!! Definitely agree with your list. 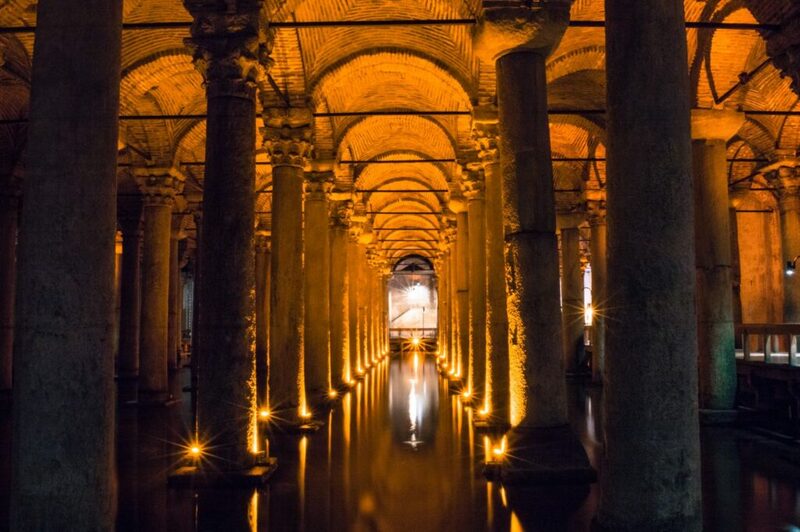 there’s so many cool things to do in Istanbul! You’re braver than us! We had Istanbul on our list of places we wanted to visit for this trip but left it off as this happened not long before we solidified plans. Thinking we’all do it as a weekend trip from London though, it’s too pretty to miss! You really should go!! I’m glad I didn’t let myself chicken out. 🙂 And lol that’s a really nice comment too considering I’m usually never braver than anyone… so thanks for the ego boost haha! Thanks Christina for your interesting post. I really love Istanbul! I’m from India. I’m planning on taking a solo trip to Istanbul, please let me know how many days is needed to cover the city. Also can you suggest a hotel for my stay at Istanbul ? Hi Asma, sorry for the late reply! 4 days was a good amount of time for me, but of course there were still things I wanted to do. If you’re a slower traveller and want to be more thorough, 5-6 days would be more than enough, but you can cover most main sights in 3 or 4. I stayed at a hostel so I don’t have any hotel recommendations but I’ve found that Tripadvisor reviews tend to be quite accurate 🙂 Hope this helps! Hi Christina, thanks for the superb clicks. Well I just came back from my wonderful trip to Istanbul. And I completely agree with you analysis. For a slow traveler like me it needs at least 5-6 days to complete all the interesting sites in and around Istanbul. I was there for 4 days and missed few things. Maybe that is one good reason to go again 🙂 . Your blog is now inspiring me to write a travel diary. i`ve planned to be there in next week but i little confused that where i`ve stay ? and i`ve a quetion that i`ll travel alone to there so wether iis it hostels are good or hotel to stay? Hi there, so sorry I didn’t see this post earlier! I love hostels for solo travel because you get to meet friends so easily. I stayed in Galata and it was very convenient to get from there to other tourist spots. I loved crossing the bridge every day. I hope that helps! 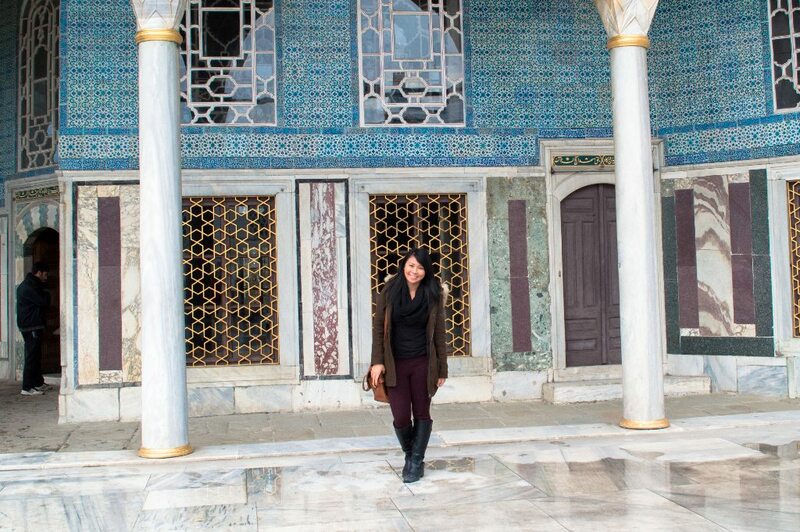 This is probably one of the better solo travel blogs for Istanbul I had seen so far. I am actually planning to have a holiday some time this November and torn between Istanbul or New York City. I somehow have an idea how pricey it is to visit NYC but how much do you think I would need for a trip to Istanbul for say 5 days? I’m not picky on food and rarely shops anything on places I visit. I loved the way you captured Istanbul. 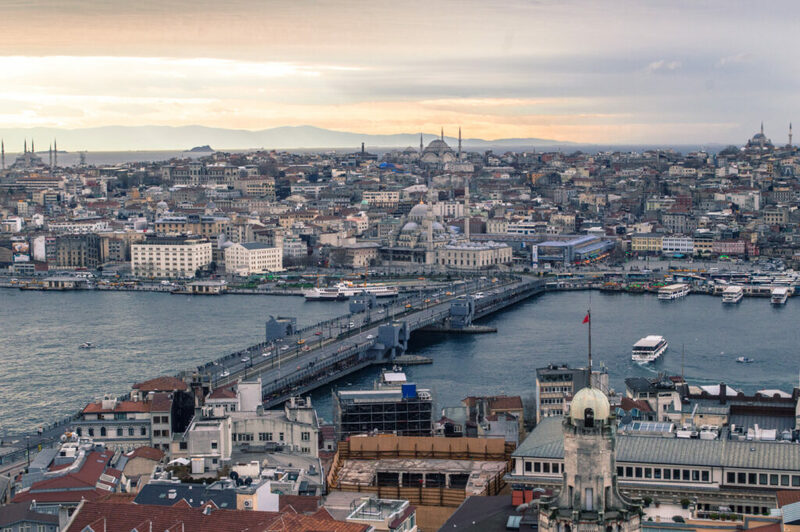 Recently I have been to Istanbul and used your blog as a guidance and you can’t believe me, It was so easy to plan my trip and see all those places in real after taking reference from your travel guide. I couldn’t stopped myself in putting a reference of your page on my official website where I also try to do some blogging. If you like you can see my page & share if you like it. Awesome blog, well done on braving this alone. I have my trip coming up. Was booked with my boyfriend but we have since broken up so it has become a solo trip by default I’ve visited before and already saw the sites. In two minds about going or not. I remember not feeling too comfortable in the few hours I was alone on previous visits though I do solo trips myself. Would you mind sharing the name of the hostel you stayed at?